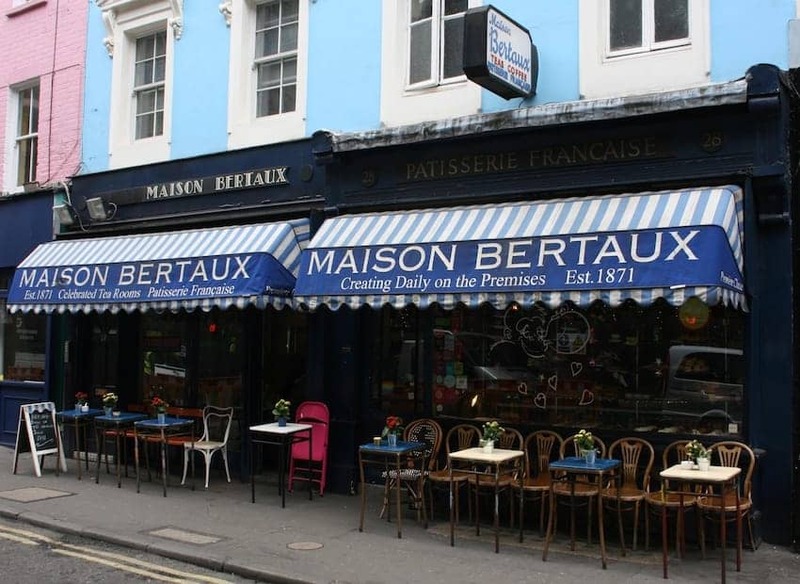 A Soho landmark since 1871 Maison Bertaux is London's oldest French patisserie and deli. Although cramped and furnished with mismatched furniture, it is a magnet for those with a taste for cakes, croissants and pastries served up in the Soho atmosphere. Free of any corporate makeover and resisting any technology, Maison Bertaux is largely unchanged over the years. It is often frequented by art students and fashion designers (having included Alexander McQueen reputedly). The upstairs space has now become an art gallery.